With offices in Tokyo, Japan and Pasig City, Philippines, Web Outsourcing Gateway, Inc. (WOG) is internationally known for giving clients top-notch services in terms of web development, web maintenance, web design, mobile app development, content writing, web consultation, and multilingual websites. We also create our own mobile apps and other online products. One of our biggest projects to date is the Oh! Philippines , a recently released mobile application specially designed to bring OFWs closer to home. We also have a pop culture media library, Pop Japan, which showcases the most travel-worthy, the most kawaii and the coolest persona of Japan. Another recent release is our OFW online job portal, Oh! Jobs, which gathers all the POEA-approved overseas jobs that are offered to Filipinos. Web Outsourcing Gateway is your one-stop shop to gaining a solid online presence. Here we guarantee that clients are introduced to opportunities where they can reduce their costs, save time, and most of all, focus on the core of their own businesses. Responsible for planning, construction, management, and coordination of a project. 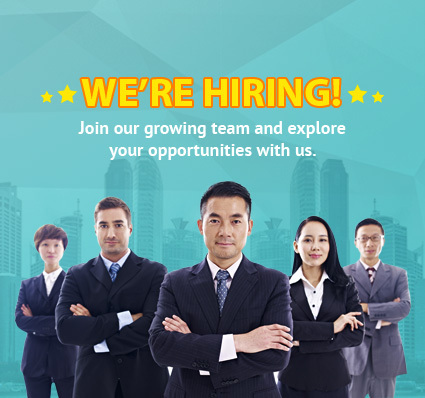 Join our growing team and explore your opportunities with us.